The police rely heavily on paid and unpaid informers: without them clear-up rates would plummet, and many crimes would remain undetected. Yet little is known about the informer system and how it works, for example: who are these informers? how are they recruited? how are they handled? who handles them? what sort of information do they provide? Recent high profile cases have drawn attention to the use of informers, there has been a growing debate about the subject, and many feel that stricter controls are needed - but how is this to be achieved without undermining the effectiveness of the system? 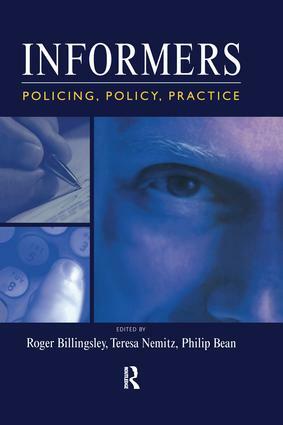 This is the first book of its kind on informers in Britain, providing an invaluable source of information and analysis from key authorities in the field.